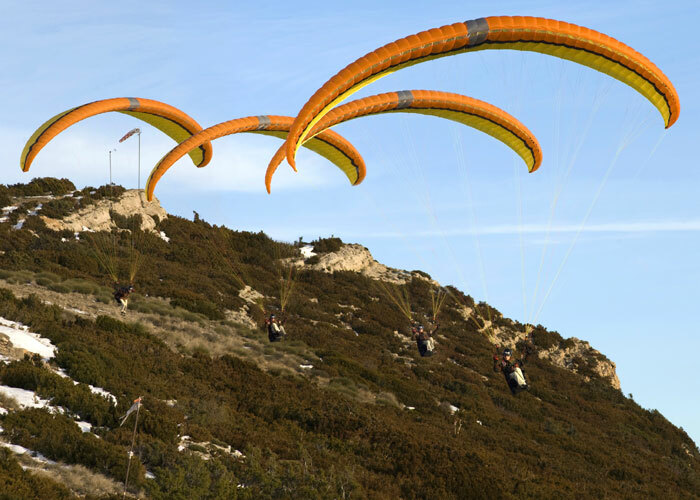 The Eden series from MacPara continues with amazing success in the paragliding community. 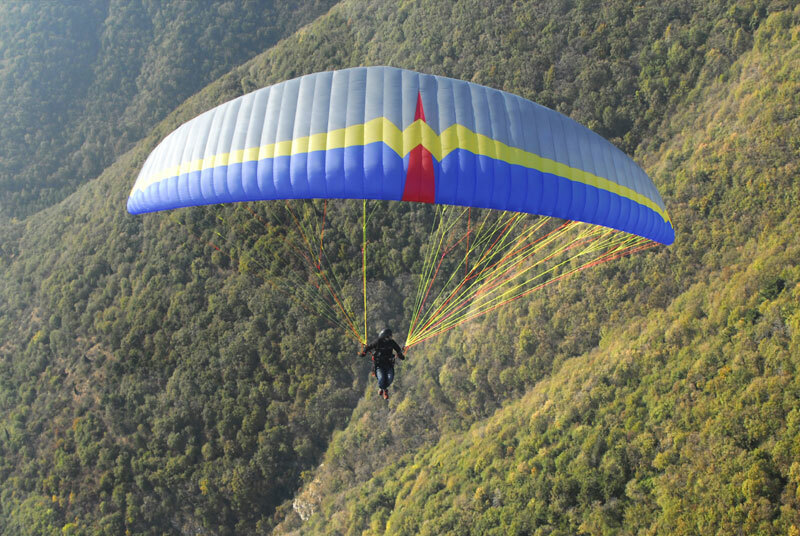 After many prototypes and design adjustments, the MacPara Team has transformed the Eden 4 into a highly sought after paraglider that many pilots enjoy. Better climbing performance in thermals and new tuned brakes for a better feel. The Eden 4 is a fan favorite packed with fun features that appeal to pilots looking for an exceptional intermediate sport glider. 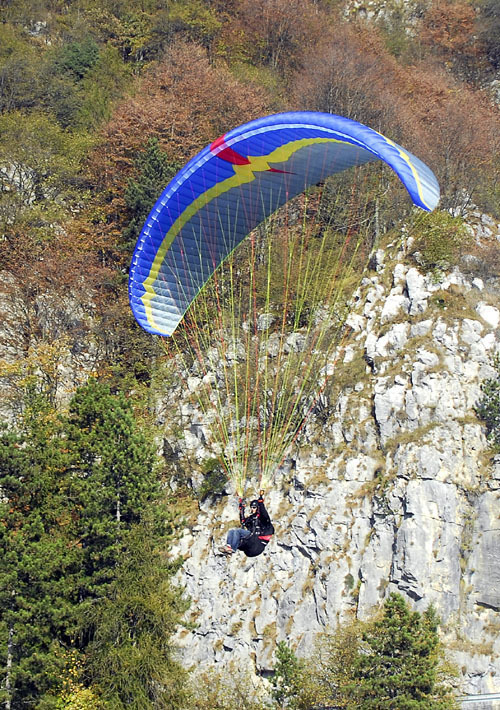 The Eden 4’s popularity has made it one of the most copied paragliders because of its ease of use and great all-around performance. 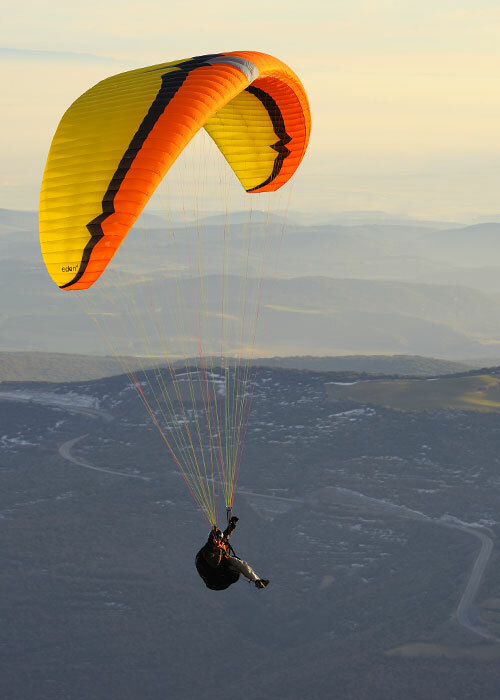 The Eden 4 is a fun and safe paraglider in the intermediate sport class for every day flying! 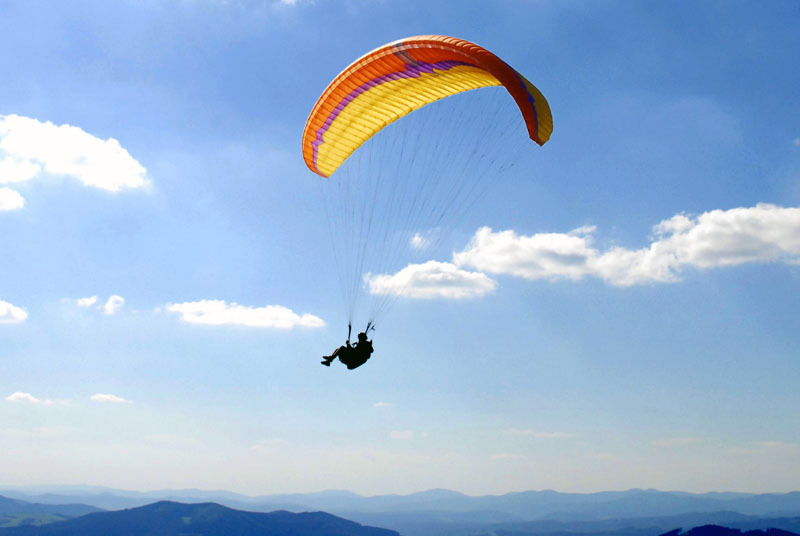 It’s a paraglider that will help you perfect your skills and keep you enjoying the sport. Compared to the Eden 3, the Eden 4 has been designed with better glide, more direct handling and increased glide in accelerated flight. The most impressive highlight of the Eden 4 is that it gives you the feeling of confidence both on the ground and in the air. The inflation is smooth and constant in any wind speed. It gives you the ability to get off the ground faster because of its friendly handling by consistently coming up overhead. In simple terms, the Eden 4 floats above your head waiting until you are ready to run off launch. It just waits for the pilot’s directions and responds quickly to pilot’s inputs. The Eden 4 is very predictable and offers no scary surprises. 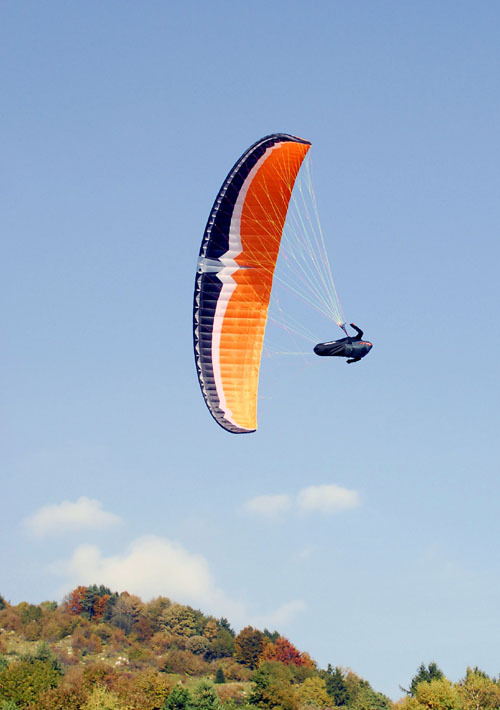 In the air the Eden 4 provides agile handling and responsiveness. 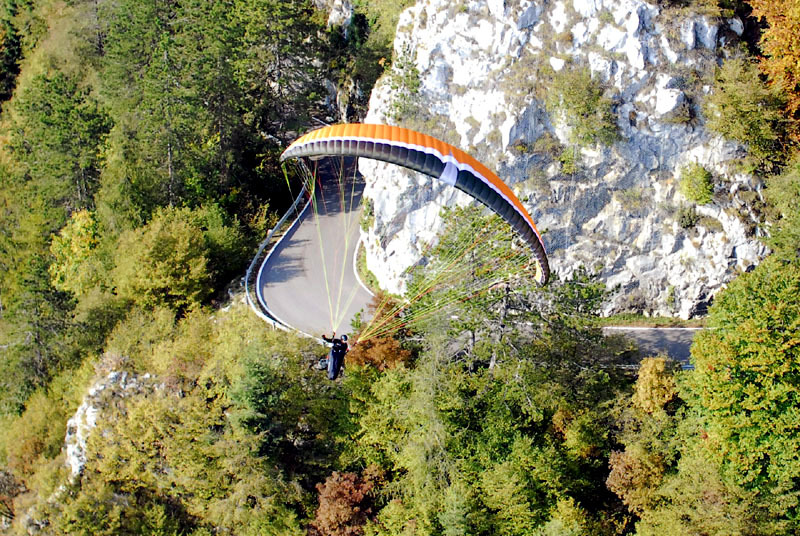 Pilots will enjoy flying this safe paraglider as aggressively as they want with decent speed. It responds to your every move if you want to core a thermal or just relax and let it fly itself on autopilot while you’re out flying your local site. 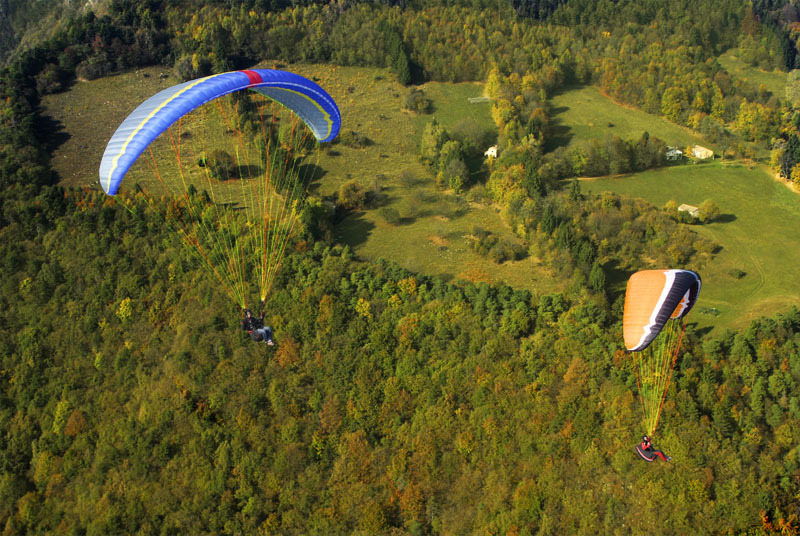 The Eden 4 will give you stories you have been hearing from epic flights on a paraglider! With a high glide ratio of 8.5 the Eden 4 lets you explore places you have always wanted to see without slowing you down. It features excellent stability throughout the full weight and speed range it is intended for. In the event of turbulence or rough air the Eden 4 has a stability features that give you a feeling of comfort. It is designed to withstand collapses and keep you on level flight in bumpy air to offer security that most pilots look for. Flying this type of glider puts a smile on your face because of how fun and easy it is to use. It truly lets you enjoy each flight because of this built in safety. Paramotor Configuration is a Bonus! As a bonus the Eden 4 is also an excellent paramotor paraglider as well! You can order your Eden 4 with DULV risers (two hang points). The transition from free flight to powered flight with DULV risers is very simple. All that you need to do is to hook up your carabineers into higher position for motor flight and then go powered paragliding! No need to extend the brake lines. More information about this exciting feature can be found in the user manual for more clarification. The Eden 4 is certified by registered authorities and approved according to LTF, EN/B guidelines. It is produced in 5 certified sizes to suit various sized pilots. References for the suggested safe weight ranges for the Eden 4 can be found under the specifications tab located at the top of this page.